One of my favourite books of 2018 was a very late contender. 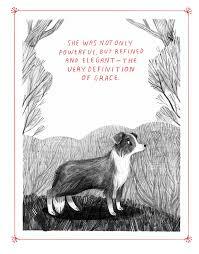 In fact, it was the last book I read of the year: How to Be a Good Creature: A Memoir in Thirteen Animals by Sy Montgomery. I adored it. Sy Montgomery is an incredible woman. She has explored some of the world’s most remote corners and met beautiful, charismatic and memorable creatures along the way – octopuses, spiders, pigs, emus and, of course, dogs, to name but a few. How to be a Good Creature reminded me of everything I love so much about animals. It also made me think back to my favourite dogs, rabbits, and other wild friends I’ve met so far. For a lot of my life, I’ve found animals considerably easier to get along with than people, that’s for sure. But the point of the book is so much more than that; it gets you thinking of your place in the world and the lives you touch every day. 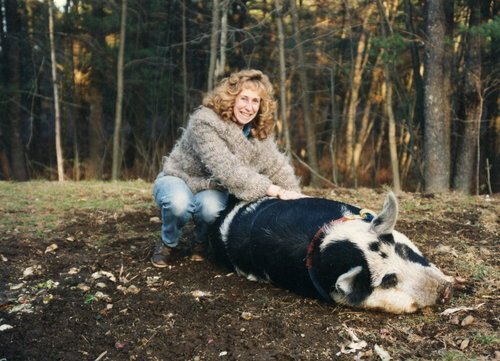 Sy with Christopher Hogwood, one of the good creatures she shared a portion of her life with. Do I bring joy to the world? Do I share my warmth, intelligence, and wisdom with others? Do I show people the real me? I talked to my boyfriend a lot about this book during and after reading it. Be a good creature became a frequent comment to one another, especially if one of us was acting out of sorts. When we’d say it, the underlying message would be: chill out, enjoy life, and be nice. Stop taking yourself so seriously. Be kind. Slow down and just live the life you want to live. It’s rare that a memoir comes along and teaches you powerful life lessons without seeming preachy, woo-woo, or self-centred. It also makes for the perfect gift: I read the book before giving it to a friend who’d had a tough year with losing pets, and she loved it too. 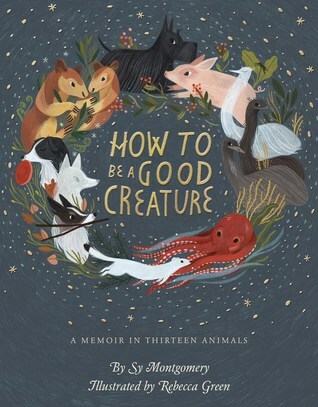 How to Be a Good Creature is humble, graceful, and a wonderfully heartwarming celebration of the innate goodness in the world. A life shared with animals is a special kind of existence. You can get your copy of How to Be a Good Creature here.